Jesus had a twin brother! Sort of like the movie, The Illusionist? Continuing the dialog I shared in the last post. Someone told me that the Bible was just a story written by one person. That it was all made up, like Harry Potter, but people came to believe it, because it gave them hope, etc. I was stunned. I had read about this argument before, but I had never actually met someone who thought that this was more likely than the resurrection and Jesus’ divinity, and he was ready to argue it. He proposed that it was a trick, like magic, just as in the movie, The Illusionist. I haven’t seen this movie, but I knew that it starred Jessica Beil and Edward Norton Jr. He told me that it also starred the X-Men guy who played Wolverine. So likely Hugh Jackman is in the movie too. He told me that the movie was about a magician who had a twin brother that knew about and so they could do magic tricks easily and fool people. He said one of them would cut off a finger and the other one would then the would switch places and the other one would appear and have the finger and everyone would be amazed! Like I said, I haven’t seen the movie, The Illusionist. 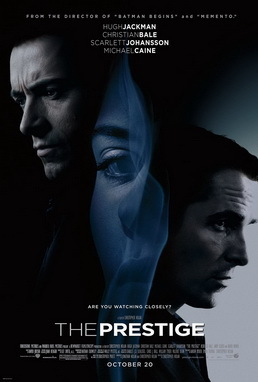 After posting this blog, I received some comments saying that the movie he was referring to was actually, The Prestige. That actually makes me feel a little better. 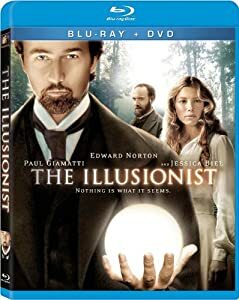 I’d hate to think that Edward Norton was in a movie that seemed so illogical, but who knows, the guy didn’t even have the right movie title to begin with, so maybe he had the story all wrong too. Why did no one else know about Jesus’ twin brother? His mother Mary would have known if he had a twin brother. She was alive and present at the crucifixion according to one of the Gospels. The Bible says that shepherds were there the night of Jesus’ birth. Where would Mary and Joseph have stashed the other baby, and why would they abandon him? Who would have raised him? And if they were separated at birth so no one knew he had a twin, how would Jesus have discovered that he had an identical twin? Plus the shepherds who visited Jesus at his birth, weren’t any ordinary shepherds. They were the shepherds who kept watch over the Passover Lambs, in a specific field. Anyone could have found them or people who knew those shepherds by going to that field and asking questions about his birth to see if he had a twin. Why would Jesus decide to die a horrible, agonizing, public death in order for his twin brother to trick his best friends into risking and losing their lives to share such a devious and deadly trick as faking a resurrection? Would you die like that for a trick that you wouldn’t even know for certain would work or have any lasting impact? What would be the gain in doing this? How do you explain his other miraculous feats recorded in the Gospels? They wouldn’t have needed a twin brother to accomplish them. The disciples spoke with him, ate with him, and touched him. They would have been able to tell that it was a fake, since they had spent about three years in close communication with him, sharing their entire lives together. The twin wouldn’t have had the same memories of everything they had shared together, so there is no way he could have convincingly reminisced with the disciples. Thomas is recorded as having touched the scars on his hands, feet, and side. How would those have been faked in the first century? Do you really think that Jesus having a twin is a more likely explanation than a divine resurrection? Previous Post Why did Jesus not say, “I am God,” if he is God? Next Post All the NT manuscripts were written in the first century!